Toilet Repair - Jacksonville Plumber | St Augustine Plumber | Turner Plumbing Co.
Is your toilet constantly flushing itself? 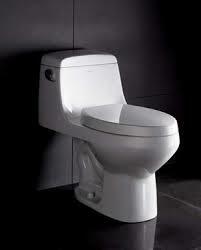 Do you hear a dripping noise or seeping noise in your toilet? Do you have water on the floor around the toilet or running down the back of it? Our Technicians can diagnose these symptoms and make a repair. They are well versed with various brands/makes of toilets and the service vans are stocked with service parts for various brands/makes.